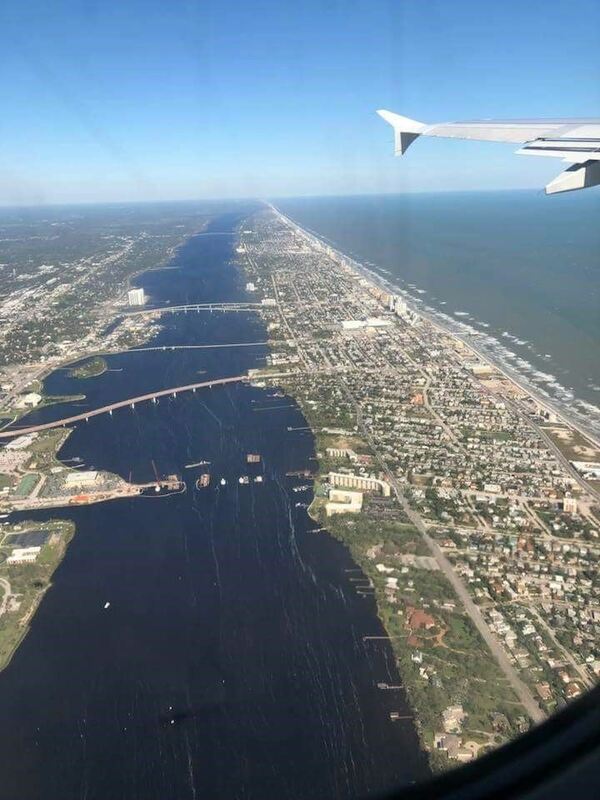 The demolition of the existing drawbridge at Orange Avenue/Silver Beach Avenue in Daytona Beach is approximately 50 percent complete with the removal of the deck and piling. 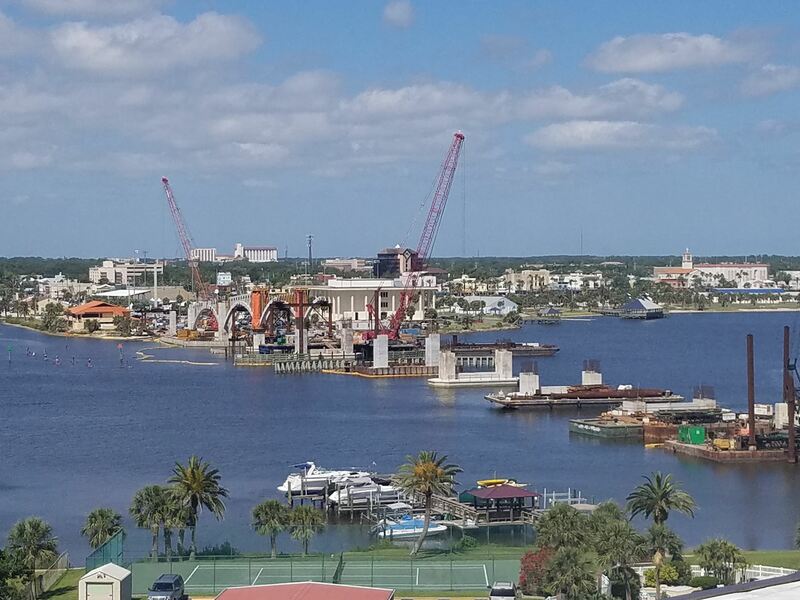 The bridge demolition on the west side – from the channel to the shore line has been completed. 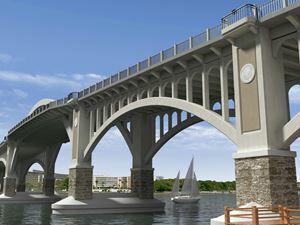 Project officials expect to have the remainder of the bridge demolition on the east side – from the channel to the shore line completed in the next four to six months. 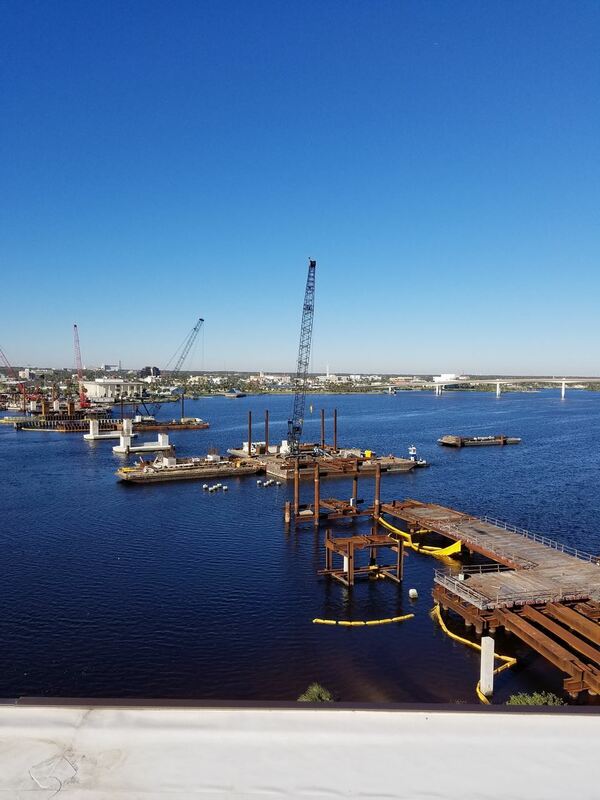 The next phase includes laying the foundation and pile driving, which involves the driving of 225 concrete pilings (some measuring 30-inches square and 100-feet long) into the riverbed. This phase is expected to begin Thursday, Nov. 17. People in the area can expect to hear the continued sounds of the hammer driving the pile into the ground and will notice some vibration. Pile driving is expected to continue for 12 months. 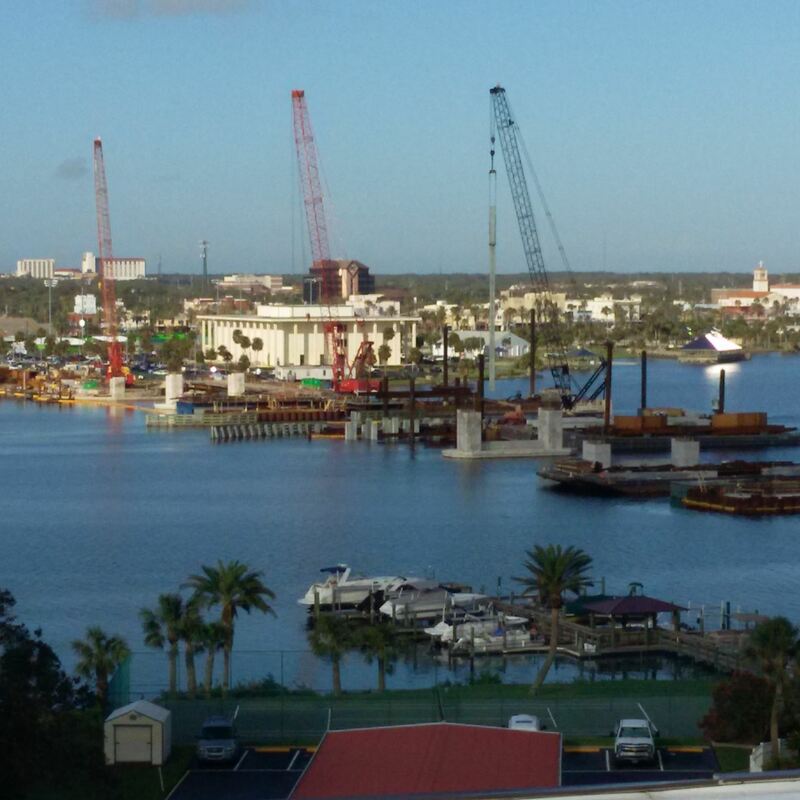 Pile driving will occur from 7 a.m. to 5:30 p.m. Monday through Friday. Weekend work may be done upon request and approval by the county. 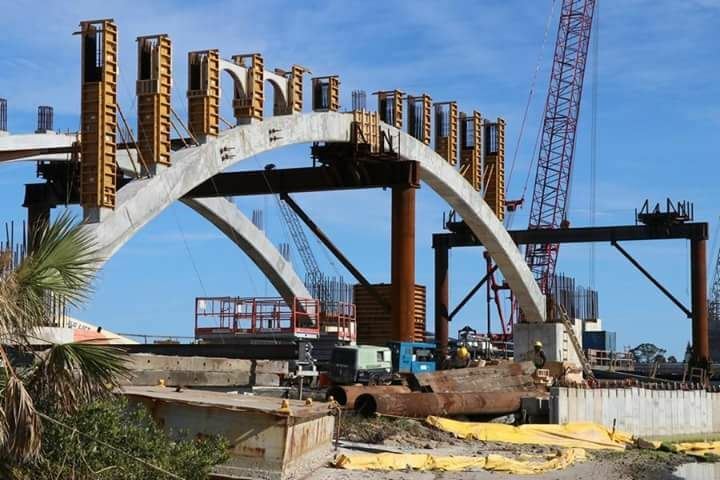 As the demolition of the existing drawbridge continues to make way for the new Tom Staed Veterans Memorial Bridge in Daytona Beach, donations are being collected to construct a $1.2 million Veterans Memorial Plaza, which will be built on the northwest side of the bridge. 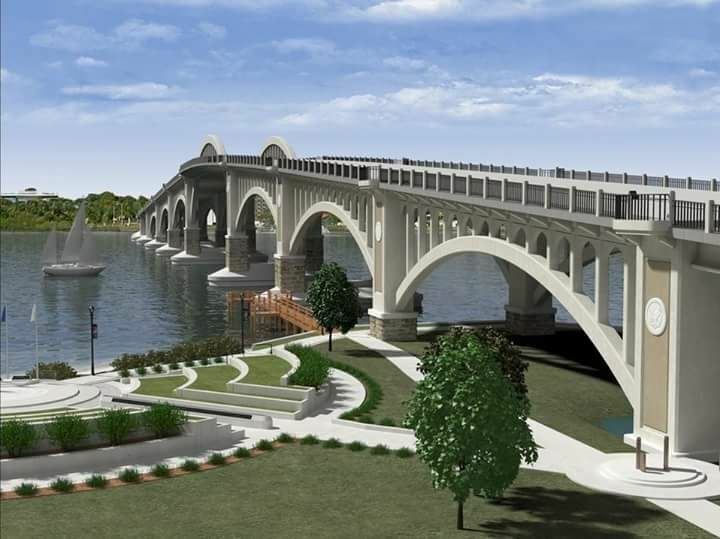 Donations will be held in escrow by the county for five years, at which time the county will construct as much of the proposed plaza as donations permit. 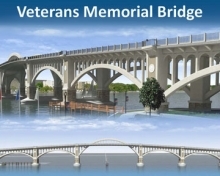 The creation of the Veterans Memorial Plaza was discussed by residents and community leaders during the public input phase of creating the new Tom Staed Veterans Memorial Bridge. The plaza will serve as a special place in the community to honor veterans from Volusia County, all branches of the military and those who have fallen in a military conflict. 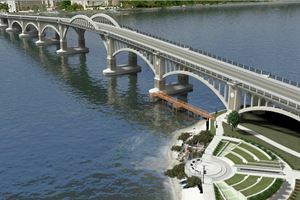 It will also provide a location for local veteran organizations to host military ceremonies and celebrations. To make a donation to help fund the creation of the Veterans Memorial Plaza, please contact Volusia County Accounting at 386-736-5933 or send a check made payable to Volusia County, 123 W. Indiana Ave., Room 302, DeLand, FL 32720 and note on the check Veterans Memorial Donation. 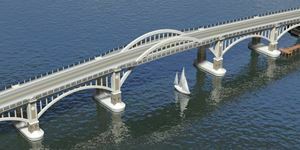 The Tom Staed Veterans Memorial Bridge construction began in early June and is expected to last for 32-months before reopening. For more information and to view construction progress photos, visit http://www.veteransmemorialbridge.com. The images above are from these two web sites. 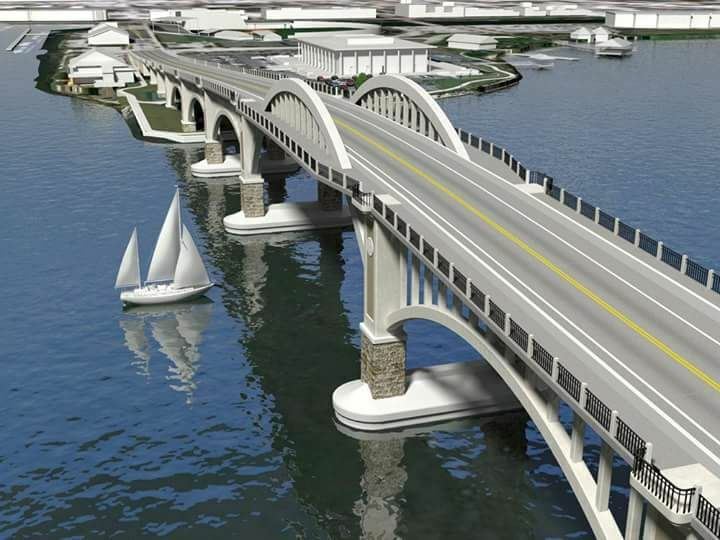 As of now, Nov 2014, construction is expected to begin the early part of 2016. 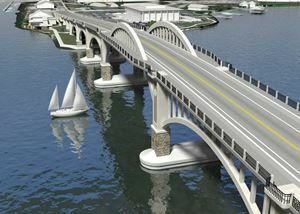 The proposed bridge typical section for the replacement high-level fixed bridge consists of two 11-foot through lanes and five-foot wide outside shoulders. 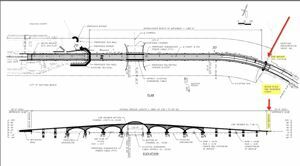 Eight-foot sidewalks, separated by a 1.5-foot traffic railing are also proposed on both sides of the roadway.